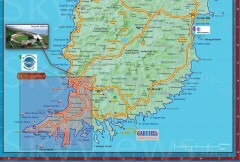 Map of Grenada in the Carribbean. 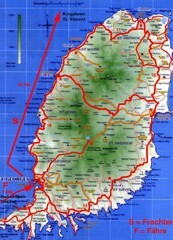 Tourist map of Grenada in the Caribbean. Shows businesses and points of interest.